The 150 W. 38th St. Garage is offering special savings on parking to patrons of The New Victory Theater. Simply click on the 'COUPON' button shown in the map below, and bring the print-out with you to the garage to pay the discounted rate of $30 for any 6 hours of parking. The garage is only five blocks away from the theater, and has a vast array of restaurants and stores nearby. Just steps away are many of NYC's top attractions, such as Bryant Park, Macy's 34th Street, Madison Square Garden, and Times Square. 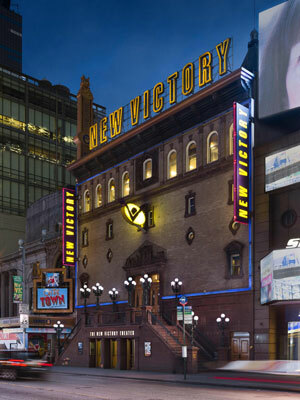 For more information on upcoming performances at The New Victory Theater, visit the official website.